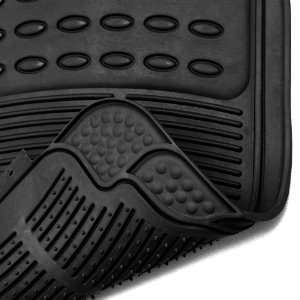 Good quality rubber floor mat are essential to protect your car's original carpet mats from the daily wear and tear. 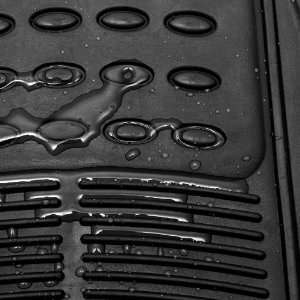 Autofurnish All all-weather floor mats provide all-weather protection withstanding water, mud, chemicals and also feature a unique anti-skid surface with a nib pad fixed under the driver side mat, keeping the mat in place. The best part about these mats are their long life and easy to clean feature. They are designed to be trimmed so that they may be customized to fit almost any vehicle. 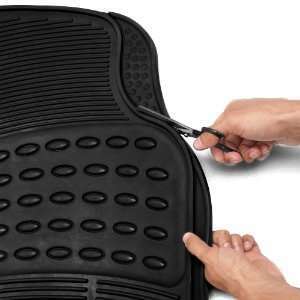 These floor Mats are intended to give the best possible protection for your vehicle floor. They are made of heavy duty polymers and the most durable, functional, cost effective and stylish designs in the market today. These durable mats are available in various colors to match your car interiors. Note: These are universal footmat and will vary from actual size in the car.